This year has seen the amount of online casinos grow exponentially and it takes meanwhile something special to stand out from the crowd. Be it a quirky name, huge choice of games, well designed website, player friendly approach, superb Welcome Package, great ongoing promotions, rewarding loyalty programs, VIP players club, fast payments or 24/7 support, it all must come together to put a casino in the running to be the next players favorite. The team behind Mucho Vegas has worked hard to complete exactly that before their launch and have done in my view an outstanding job. In fact, it was so good, that they received the acclaimed “Best New Netent Casino 2016” award here at NetentStalker. Congratulations! Quirky name – check. Mucho Vegas is remembered easily and will stick very quickly. Huge choice of games – check. How about 850+ slots, table games, video poker, live casino, keno, jackpot slots and other games, all available on desktop, mobile or tablet. The team has chosen some of the best suppliers on the market and added at launch Netent, Microgaming, 1×2 Gaming, Betsoft, GameArt, Intervision, iSoftBet and Oryx to their list. Well designed website – check. Talk of simplicity, clarity and ease of use. The Mucho Vegas crew has done a marvelous job in making their site easy to navigate, finding and storing favorite games, sorting by provider or doing a search for a specific game. It all proves that much thought and effort has gone into setting up the site as player friendly as possible. Players can choose between English, German or Spanish languages for their convenience. Superb Welcome Package – check. I would put a $/€ 1,500 new player package into the “outstanding” category. Match bonuses for the first seven deposits, for starters players can claim a huge 200% Deposit Bonus on their first deposit, 100% bonuses on their second and third deposit and a further four 50% bonuses for deposits four to seven. Absolutely remarkable. Great ongoing promotions – check. How about something extra nearly every day of the week, all accessible with one click on the “Promotions” tab. Players are spoiled for choice at Mucho Vegas with Free Spins on Monday, 100% Reload on Wednesday or Free Spins on the Game of the Week. And these are just their regular promotions. Keep your eyes peeled for special events or offers throughout the year. Rewarding loyalty programs – check. Welcome to “Fiesta Points”, the loyalty program at Mucho Vegas. Players earn 1 point for every $/€ 10 wagered on slots and can exchange batches of 100 points for $/€ 1 in casino chips. But that’s not all, Mucho Vegas will add extra rewards for completing defined milestone levels, which can be extra Free Spins, Casino Chips or the ultimate, access to their VIP club. Jefe VIP Program – check. Offered to the most loyal players at Mucho Vegas who have accumulated 50,000 lifetime loyalty points. By reaching this level players are spoiled with a $/€ 500 welcome credit, personal account manager and other benefits including expedited withdrawals, discretionary bonuses and experiences like travel, dining and invites to exclusive parties around the world. Fast payments – check. Withdrawals at Mucho Vegas are processed within 24 hours with a good range of payment options such as credit / debit cards, Neteller, Skrill, Paysafe Card or Bank Transfer available. 24/7 Customer Support – check. CS agents at Mucho Vegas are available around the clock via email and live chat to answer all questions players might have before or during their gaming session. Gaming license – check. 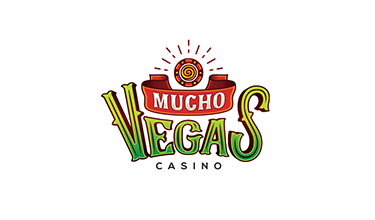 Mucho Vegas is operated by Flavidus Limited, Cyprus under the gaming license of the fully owned MYEG BV, with number 1668/JAZ issued by Curaçao eGaming. With their careful planning and hard work the operators of Mucho Vegas Casino gave the new kid on the block from the start all the right ingredients to become a new players favorite and a very much liked gaming hangout. The huge selection of well-known games and great promotions will attract players from around the world to enjoy a pleasurable experience in a safe and secure, yet fun and quirky atmosphere.